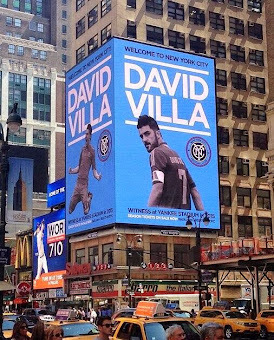 That's the northeast corner of Seventh Avenue and 33rd Street, kitty-corner from Madison Square Garden and Penn Station. 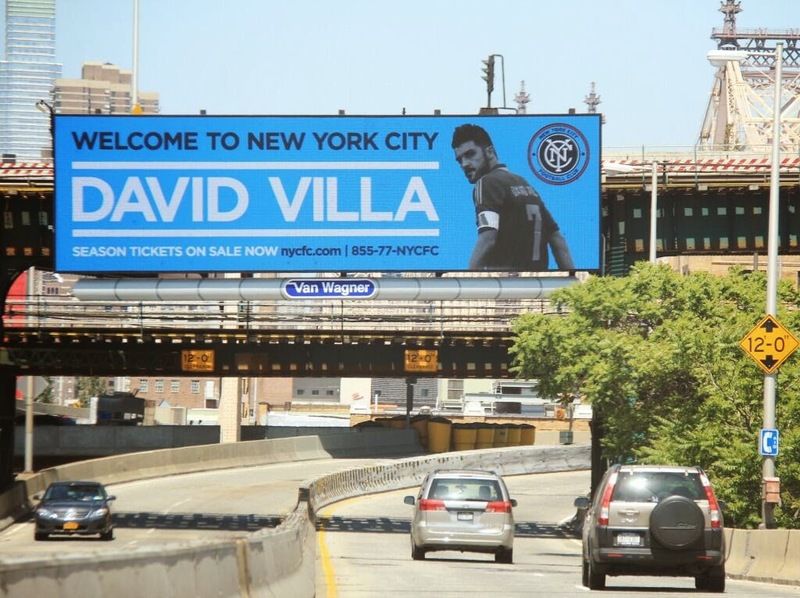 A very prominent location for this new marketing push. 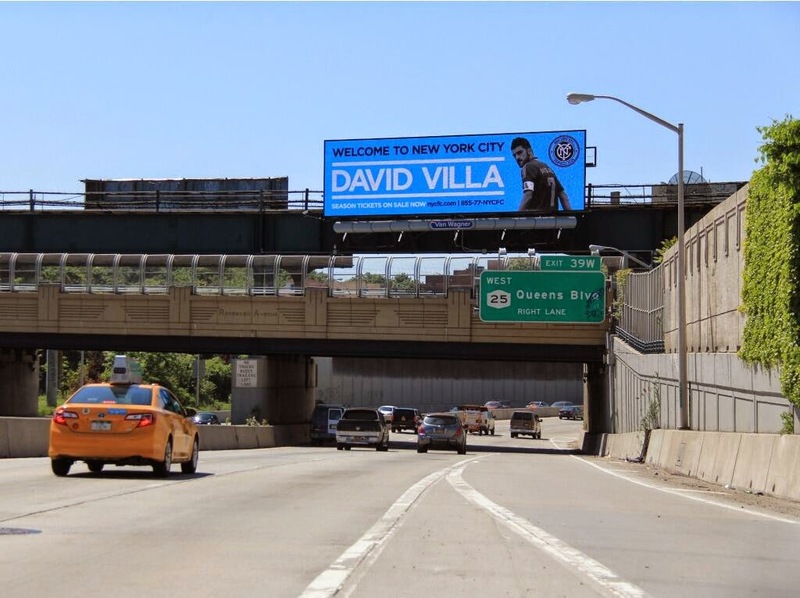 Obviously these are all electronic billboards, with a much quicker turnaround time than actual print media. But I expect that we'll see print versions of this on the subways soon. Interestingly, unlike previous drives, this campaign doesn't feature the MLS logo, or mention the sport at all beyond the NYCFC logo. 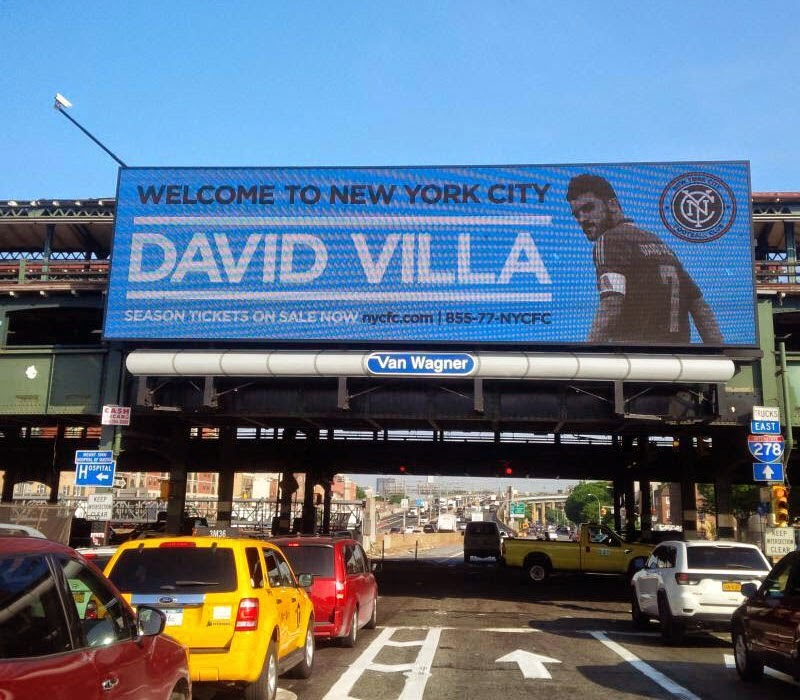 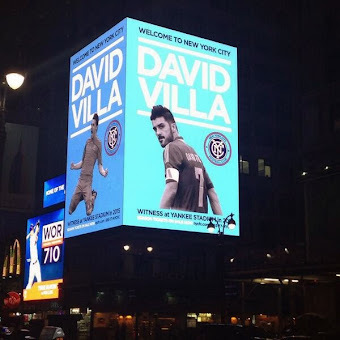 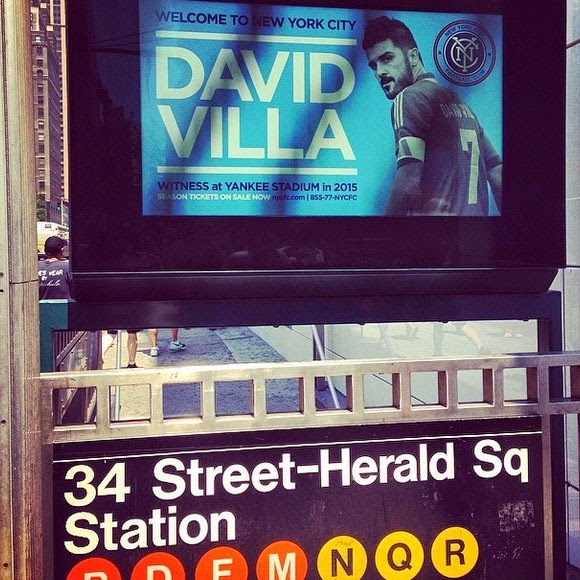 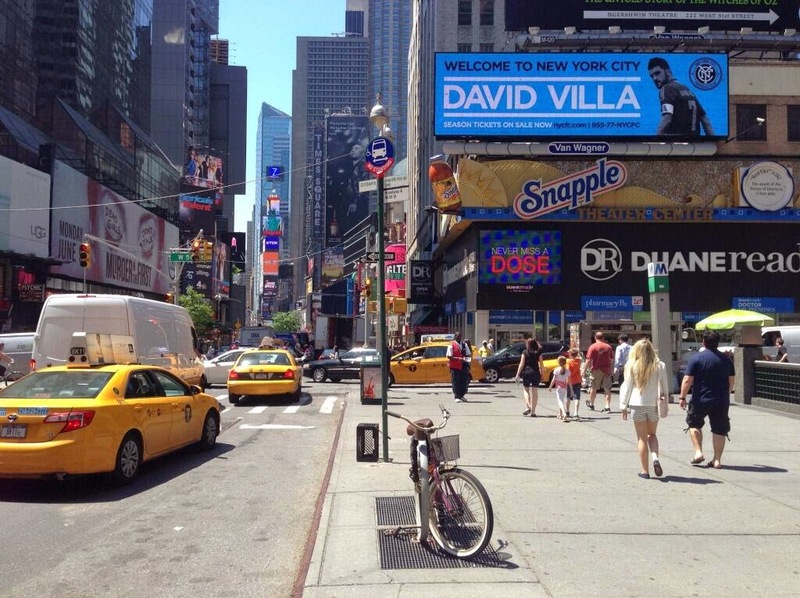 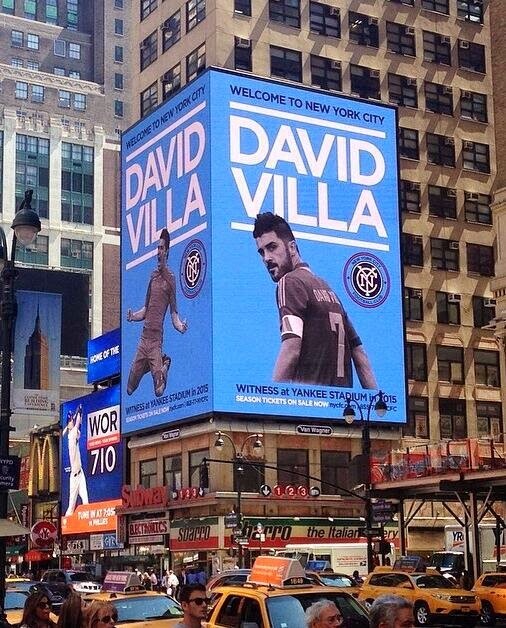 It presumes that the passersby already know who David Villa is, a push aimed specifically at existing fans of the sport.